Milton Area Industrial Development Association’s economic development strategy is single minded; to be the guiding force for an improved economic future through expansion and development of the Industrial Park and assist, promote and participate in regional efforts centered on these and other commercial/industrial sites throughout the Central Pennsylvania Chamber’s service region. 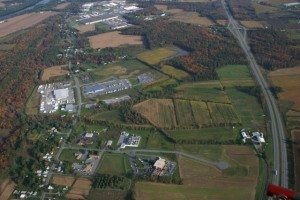 Industrial Park expansion is a vital part of the on-going efforts to make available a cost effective, productive industrial site and maintain the esthetics and quality of life, associated with rural central Pennsylvania. Continued growth prompts development. MAIDA works in partnership with other economic development groups to bring prospective companies to the Central Pennsylvania region in order to view potential sites as well as discuss the needs of both the company’s future expansion or relocation and our Industrial Park. Having one of the largest and established Industrial Parks in the northeast and central part of Pennsylvania does have advantages, with ready access to an expandable infrastructure and an area-wide workforce easily tapped, putting Milton handily within the top five sites for business location in Pennsylvania.